Accidents can happen on any road. It is easy to get complacent when driving on back roads or familiar streets, but we must remember that an accident can happen out of nowhere. Wherever you are driving, we urge you to remain vigilant while behind the wheel as car accidents can be devastating. On May 30, the Boston Police Department received information about a two-vehicle accident. The call came through to the police around 1 in the afternoon, and Officer Kevin McClay was one of the first to arrive on the scene. Other emergency responders arrived soon afterwards. Once at the scene on Columbia Road, authorities found that at least one individual had sustained personal injury in the collision. Medical care was administered to this individual, but the extent of their injuries is still being determined. The cause of this crash is still under police investigation. A car accident can cause critical injuries to victims. Accidents can happen suddenly, and they can leave victims dealing with injuries for years to come. Reckless driving has dire consequences, and we must all do our part to keep accidents from occurring. 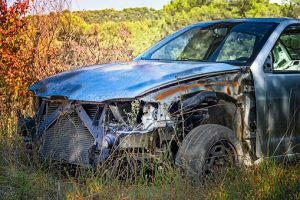 Victims who are injured in accidents can seek help and compensation so they can focus on their recovery. As involved members of the community, we want our roads to be a safe place for all who drive on them. At the Law Offices of Jeffrey S. Glassman, we are highly aware of the potentially devastating consequences of car accidents. We are dedicated to raising awareness about the importance of safe driving. However, we know that accidents do happen, so we are also here to help victims get paid so they can heal.